Experience The Oracle Cloud for 30 days! The Oracle Cloud is unique. It is the only cloud that offers top to bottom integration from the same supplier. Oracle has released a promotion that allows you to test the Oracle Cloud up to a value of $300 for up to 30 days. SaaS/DaaS, PaaS and IaaS! Oracle broad product sortiment covers most business needs! 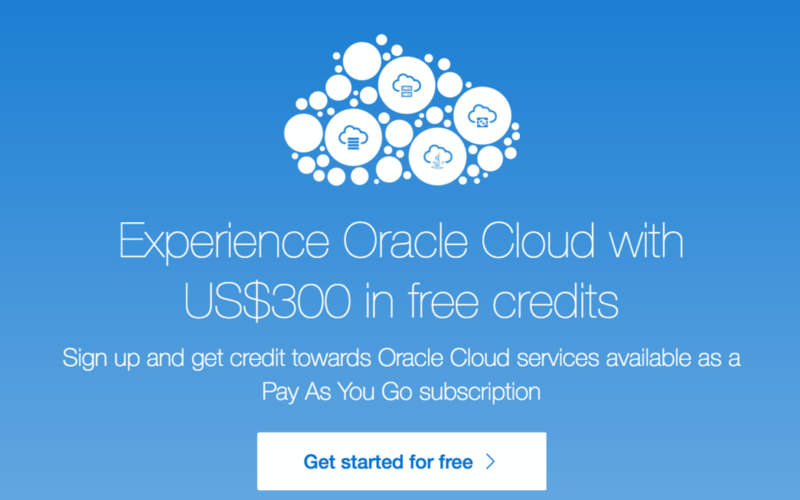 Your Oracle Cloud Services account will be suspended once you use all the free credits or at the end of the 30 day free credit period, whichever comes first. At that point you will have the option either to continue using the Cloud Services under the Pay As You Go model or to discontinue use of the Cloud Services. If you would like to continue to use the Cloud Services, you must update to the “Pay As You Go” model within 7 calendar days. At the end of the 7 day period, your account will automatically be decommissioned and your data will be deleted.